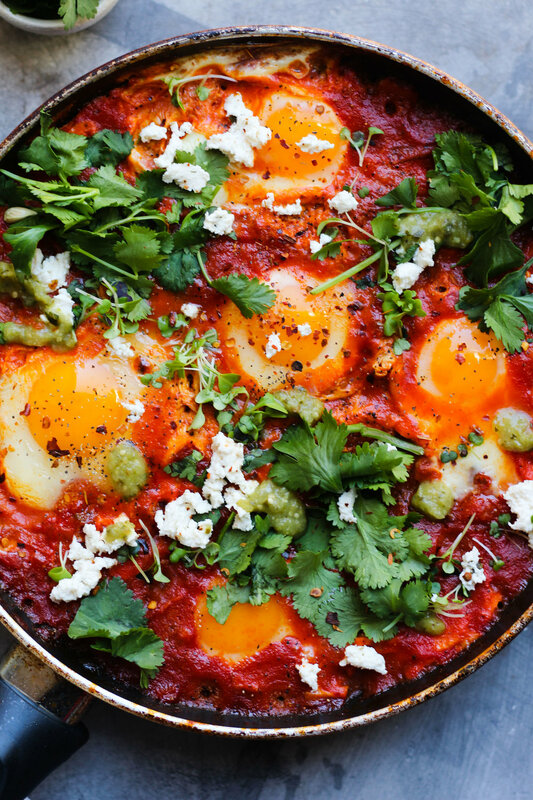 There is nothing I love more than making a big skillet of Shakshuka! 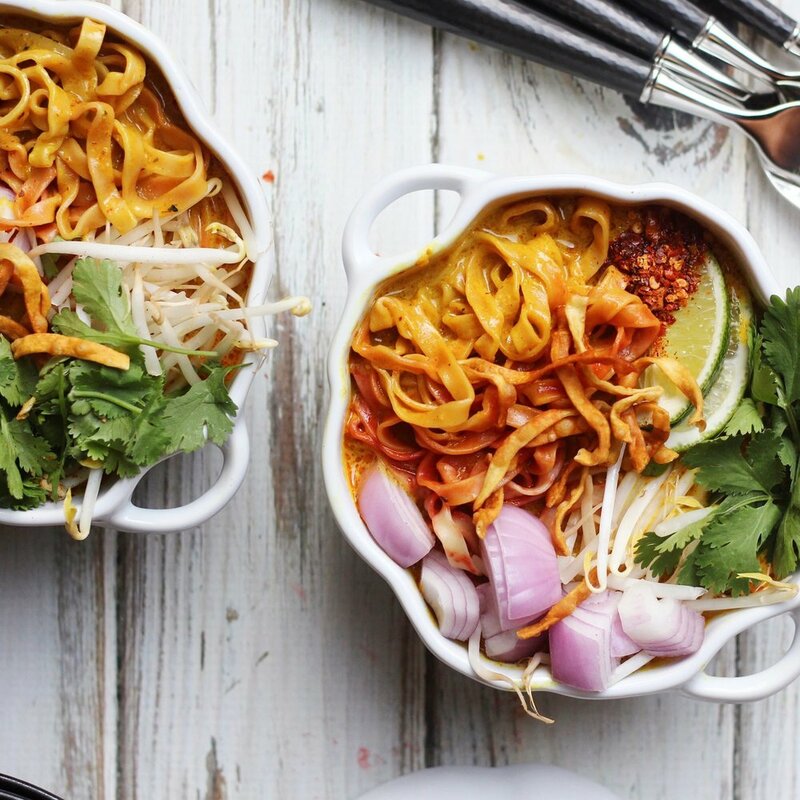 I love all the ways you can mix and match with different flavors, vegetables and toppings. This one includes a tomato base and a homemade tomatillo superfood salsa made with Paleo Valley Organic Supergreens powder. 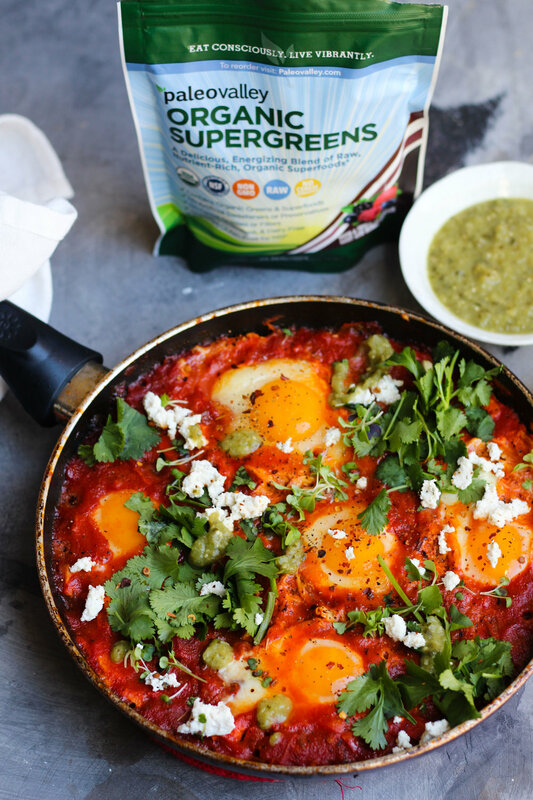 No matter what, I feel I always have the ingredients in my pantry for Shakshuka so it's not doubt this is one of my staples for breakfast, lunch + dinner! Start by preheating your oven to 400 degrees and in a pan with olive oil, salt and pepper, mix your tomatillos onion and garlic and char for about 30-40 minutes. Put in a blender, with lemon, garlic, oil, cilantro, powder and salt and pepper to taste. Set aside and cool. In the meantime, heat a pan with olive oil and diced onion and garlic and let it sweat out about 5 minutes. Add in your bell pepper, jalapeno, salt, pepper, curry powder, turmeric and paprika. Let sauté for another 5 minutes. Add in your 2 cans of tomatoes and let simmer and cook through about 15-20 minutes. Once bubbling, make little wells and add in your eggs and let cook on low until cooked all the way through. Top with cilantro, parsley, microgreens and enjoy! You can use the promo code LINDSEYEATSLA for 30% off site-wide on Paleo Valley and keep up with me on Instagram @lindseyeatsla!